Risparmia $9.00 scegliendo ora questa opzione. 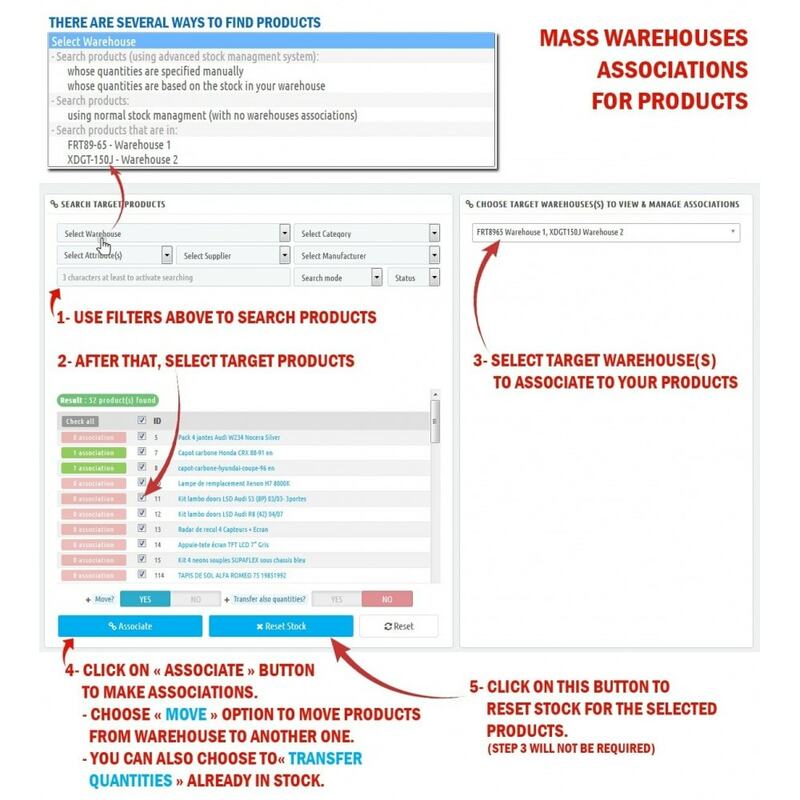 This module allows you to manage mass (in bulk) warehouses associations for your products. Add easily Warehouses to your products. On Prestashop, to switch a product in advanced stock management, you need to go on every product to specify a warehouse and define the locations. This module will do all these operations all at once. You'll go to save a lot of time! Improve catalog management: don't spend hours browsing between each product to manage associations (Help saving time)! Associate easily warehouses in bulk to selected product. This module allows you to switch all your selected products in advanced stock management mode. Move easily all your selected products from warehouse to another one. Ability to reset all quantities in stock for selected products. Transfer also quantities already in stock to the moved/associated products in the other warehouse. 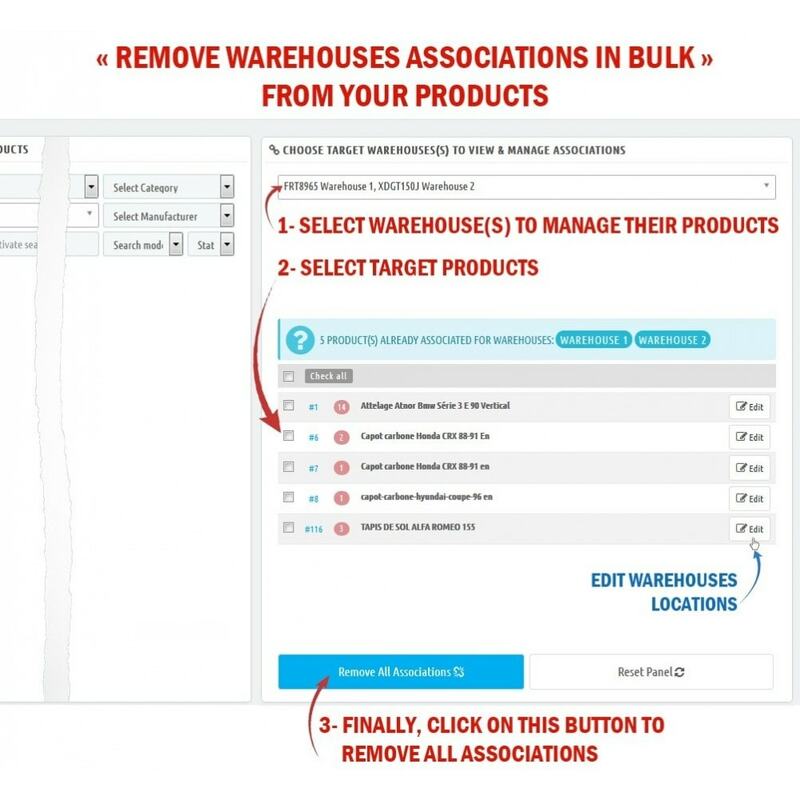 Remove easily warehouses associations in bulk from selected products. Specify for each product the warehouses in which it is stocked. 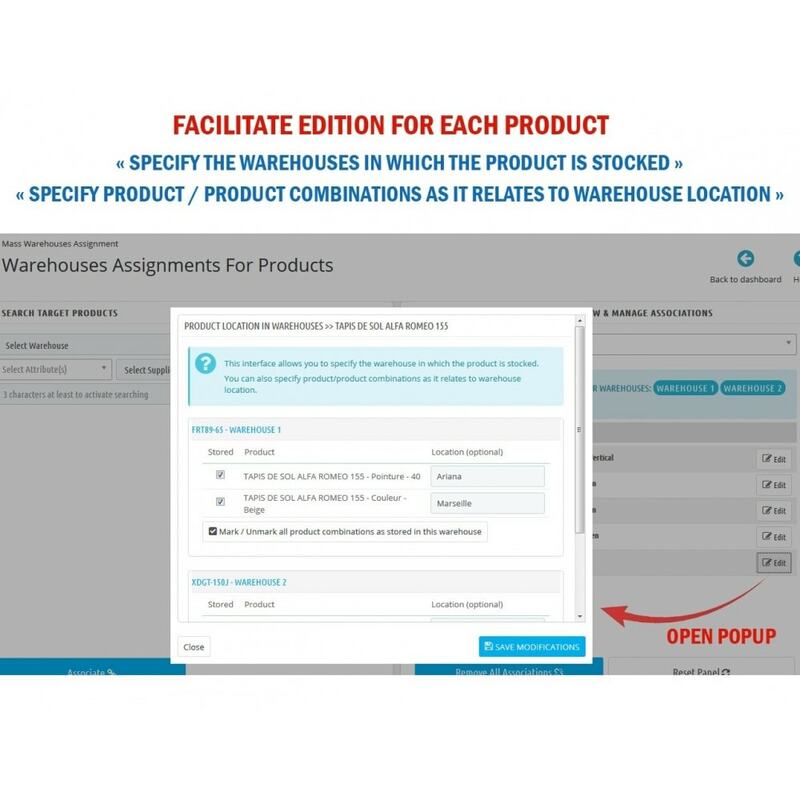 Specify for each product/product combinations as it relates to warehouse location. Module can manage products which quantities are specified manually or quantities that are based on stock in your warehouses. 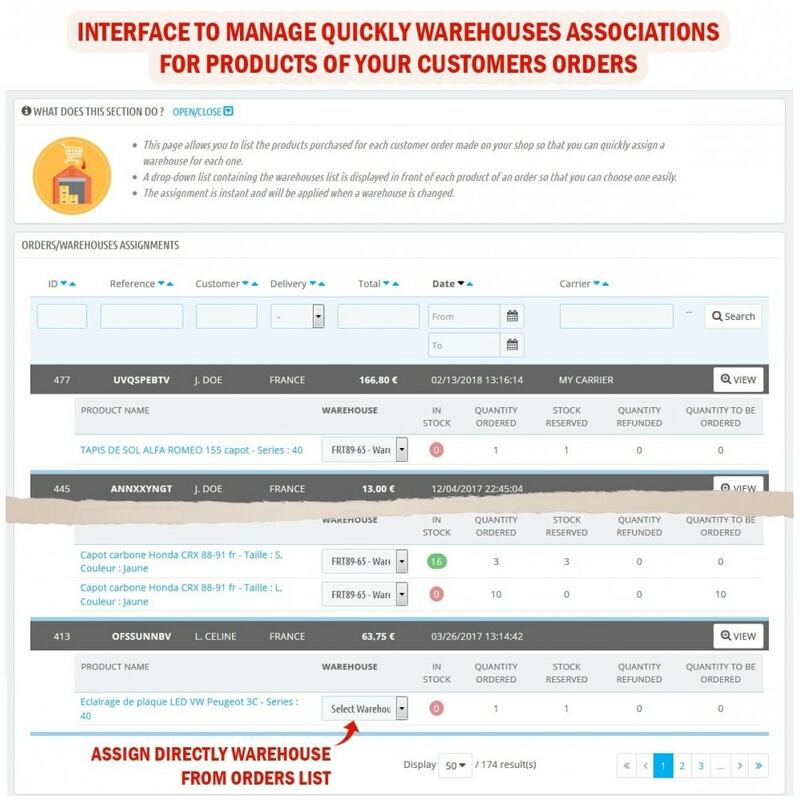 This section makes it easy to change or associate a nearest warehouse for each product in a customer order. We have implemented an advanced and multi-criteria search engine to help you easily find your target products to be associated or dissociated. Direct access to product detail to edit/check associations. 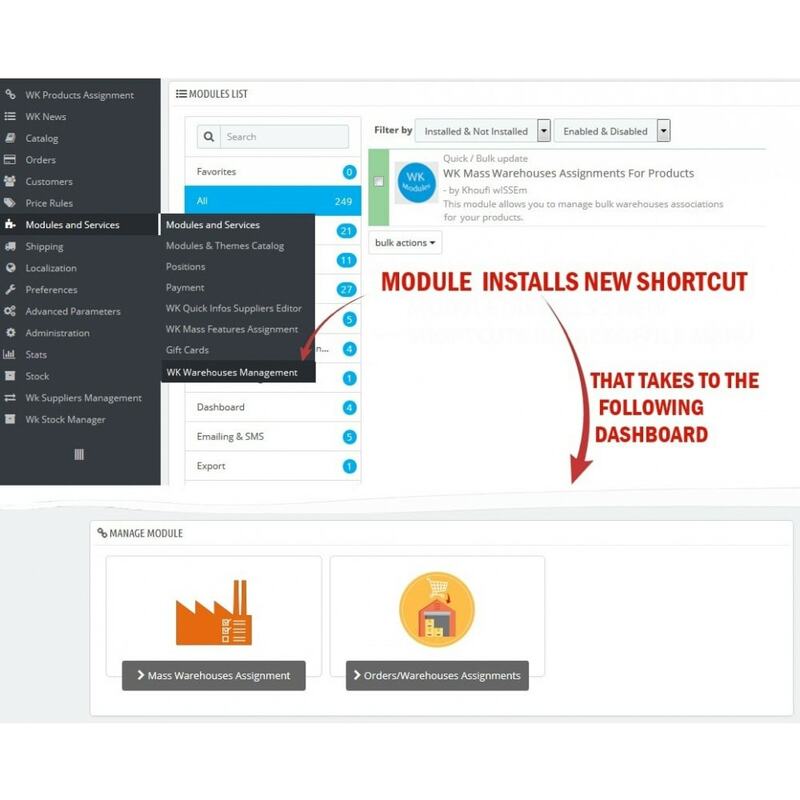 Remove suppliers functions and make the module for warehouses managements only.